This is a favorite breakfast around my house during the hotter months because it’s light. My guys don’t like to eat a heavy breakfast before working in the hot sun. To confess, I have my own biscuit recipe but Bisquick is quick, easy and I still knead and roll out the dough just like my own. 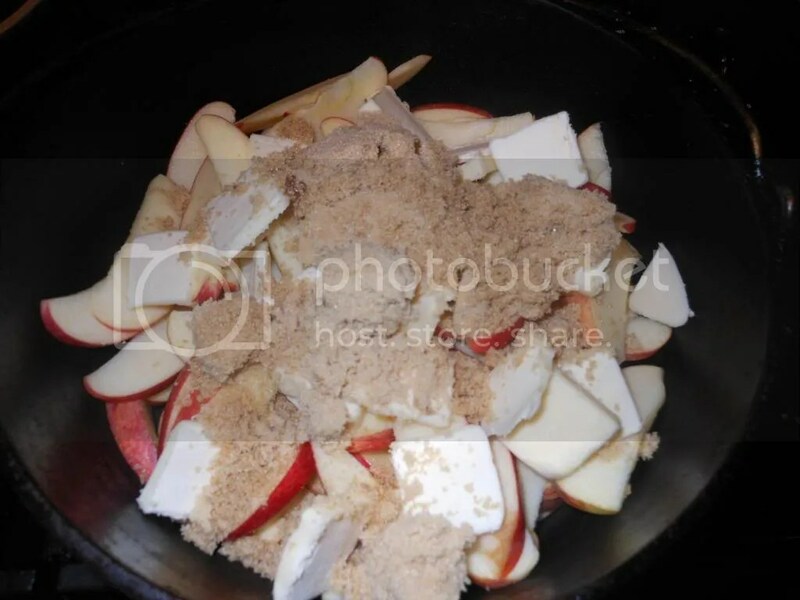 Wash, core and slice apples thin and place in a skillet. Slice Butter and place on top of apples. Add the brown sugar and turn on to medium heat. Let apples cook, stirring occasionally. There will be a fair amount of liquid that forms as apples soften. 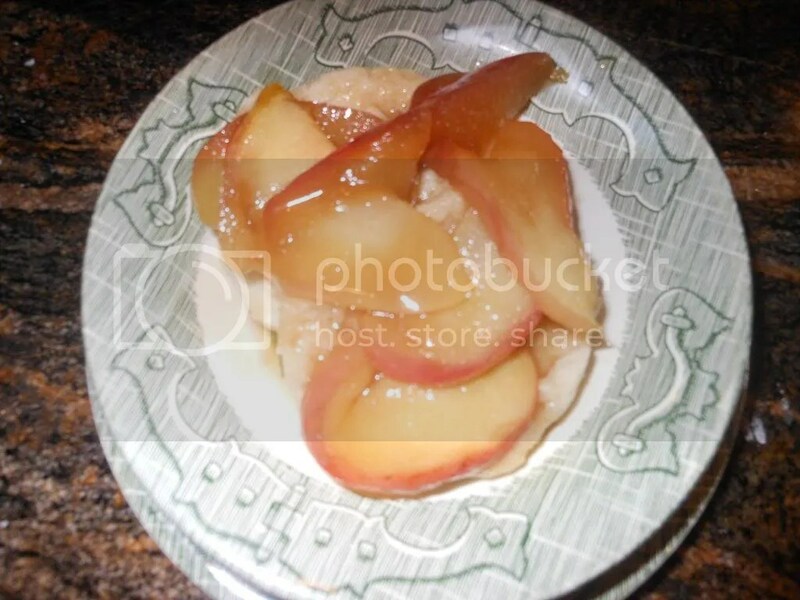 When the apples are completely soft or no longer opaque remove from heat and serve over biscuits. 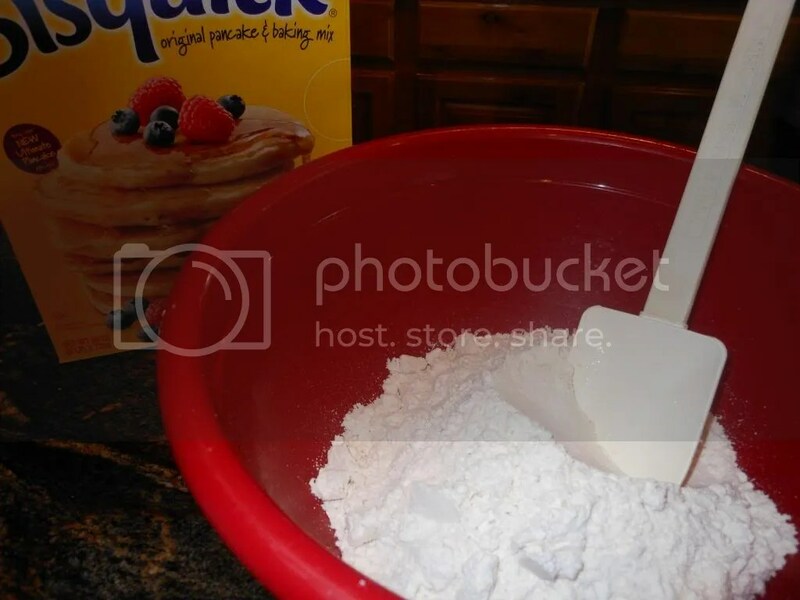 Biscuits are made from Bisquick mix; just follow directions on box. Tip: Always stir dry ingredients before adding liquids. These are light, non-greasy biscuits that cook very quickly so start checking at around six minutes.